This is a Holmes/Dracula File with a stunning twist! It was probably destiny that people would connect the World’s Greatest Detective and the World’s Worst Vampire as they occur at the same period in time. The meeting of the two has been explored by more than one author. 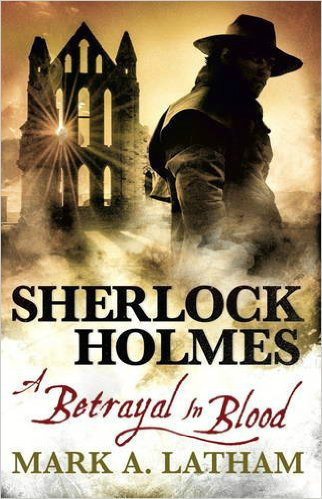 Some follow the tale of Dracula closely, guided by the times when it would have been logical to find Holmes involved. After all there was a Police investigation into the case of the children harmed by “The Bloofer Lady.” The incident even made it into the papers, and any Holmes aficionado knows how Holmes devoured any strange report in the papers! That alone would have sent Holmes on the hunt. The battle takes place through all the landmarks made famous in the novel by Bram Stoker. Transylvania, Whitby, Doctor Seward’s Asylum, Carfax, the home of Lucy Westenra, the Law Office where Jonathan Harker worked, the sailing ship Demeter—all of these places feature in this unique tale! The story even ends in the same place as Dracula—Transylvania! I liked this tale a lot! I give the book five stars!